For $120, Sena's Magia Zip case for the iPad 2 and third- or fourth-generation iPad protects your tablet with nice leather outside and soft velvet inside. You also get a case that's awkward to use and comes with a few too many unneeded features. 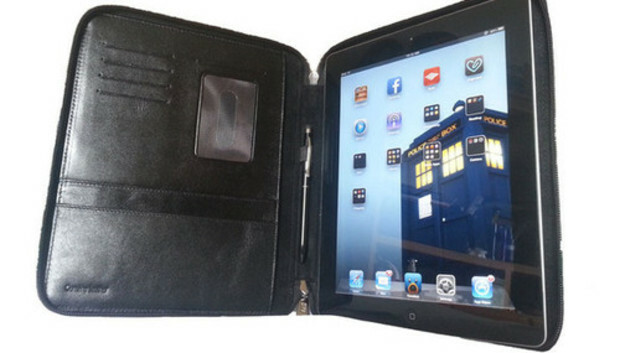 True to its name, the Magia Zip folio-style case has a zipper around the edge to close the case and protect your iPad. When fully zipped, the case completely obstructs every button and port, though you can easily unzip just a small opening near the dock-connector port to connect a charging cable. The Magia Zip is only available in a solid black. To hold your iPad in place, Sena uses "Magia Tape," a small rectangle of adhesive that sticks to the iPad. I'm torn on the adhesive; my iPad didn't budge once I stuck my case to it, despite lots of shaking and holding upside-down, but I question how long the stickiness can last. Removing the iPad from the sticky square required some effort, but there was no adhesive residue left behind. The inside of the case has several card holders and pockets, but you can't put more than a few pieces of paper in the pockets without making the case lumpy. Sena also throws in a cheap pen and stylus combo that doesn't add much. And this is where the problems start. When I completely unzipped the case to use my iPad, I found the zipper got in the way every time I needed to press the Sleep/Wake button, unless I folded the zipper out of the way. In lieu of the front flap, you could use an Apple Smart Cover and still have room for the case to zip closed, but that kind of defeats the purpose of using a folio. The Magia case is very bulky, especially if you fold the cover out of the way to use your iPad--which you'll have to do, because the cover doesn't lay flat. I'd only advise using this case if you're going to rest your iPad on a flat surface, because I found it to be awkward and uncomfortable to hold my iPad in this case. Lastly, the Magia case has a stand that is poorly designed. You pop out a small leather arm from the back of the case and use it to prop up the Magia-fitted iPad. You then have to flip the cover over the stand so it's out of the way, which takes up extra space. The stand works fine on a flat surface, with plenty of room, but if the conditions aren't right, it tends to fall over. The case sports a nice leather exterior and sleek style, but it lacks functionality. It's much too bulky to use, unless you're taking notes on a table and can lay the case out flat. But given the steep price point, the cons outweigh the pros.